NYFW has come and gone and I wanted to provide you with the trends that I saw emerge during the shows as well as my favorite collections. 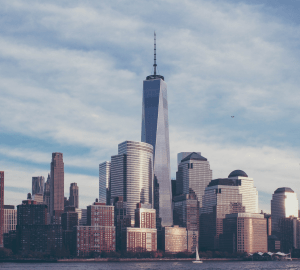 I believe New York has one of the strongest presence among the “Big 4” cities that host fashion weeks twice a year – in the Spring (February, brr) for the following season’s Fall/Winter collection and in the Fall (September) for next season’s Spring/Summer collection. New York goes first, then London, Milan, and Paris. Every city has its own distinct favor and contributes to the world of fashion in immeasurable ways. I took note of several trends during NYFW for S/S 2019. Of course, I may have overlooked some, but the trends that I did identify are quite exciting! I have selected eight collections whose designs grabbed my attention. I love each of these designers’ collections for many reasons, but some just really spoke to my taste and preference. Click on the designer’s name for a link to Vogue’s commentary and gallery for each collection. Badgley Mischka: Celebrating their 30th anniversary of design, Badgley Mischka created this Wonderland-themed collection that was filled with gorgeous embellishment on gowns and pantsuits. Carolina Herrera: Wes Gordon designed a beautiful collection that featured many of the trends that I identified above. In his collection, he includes lots of ruffles, patterns of plaids and checks, and the color yellow appeared as well. Gabriela Hearst: Known for her expert tailoring, particularly in exquisitely-cut pantsuits, for this collection, Hearst presented pantsuits in unexpected colors like bordeaux. However, the collection also featured other pieces that were expertly tailored and incredibly beautiful. Lela Rose: This designer’s collection took a more casual approach as opposed to collections of recent years. The collection was shown on a ship with some pieces embodying the nautical theme. The pieces were elegant, but not overly ornate. Marc Jacobs: As expected, Jacobs’ collection was edgy and thought-provoking. 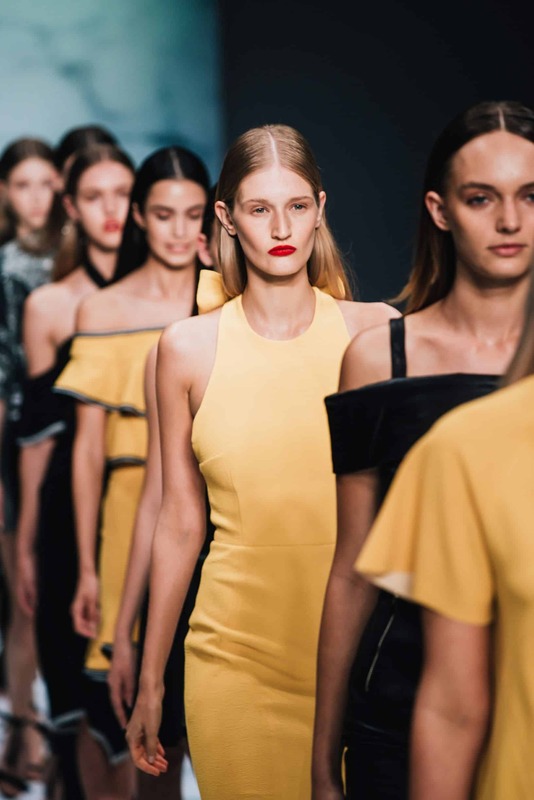 He showed pieces with large belts and displayed the color yellow throughout his show furthering my assertion that yellow is, or well be, the color du jour. Naeem Khan: In his collection, Khan returned to his early days of designing and also drew from his Indian heritage by featuring the sari wrap technique which looked exquisite on the models that showed this style. Reem Acra: This collection made a powerful statement for the modern woman. Acra sculpted her designs to flatter the female figure, thus, putting her in charge of the room by owning it. Tory Burch: This collection’s theme could be Wanderlust. Burch’s inspiration was childhood memories of her parent’s tales of exotic vacations. In this collection, Burch took us around the world through her designs.